Would you like to experience utmost comfort, spaciousness and luxury on your upcoming regional trip? Then it would be a great idea to charter for a Lockheed Tristar. This jet has a space equivalent to 250 passengers and can further be customized into different areas, depending on your charter’s initial lay out preferences. For instance, some luxurious jets have meeting areas, bathrooms and even exercise areas in their interiors. If you’re flying from Ontario, Canada to Prague, Czech Republic, then this aircraft should effectively get you there. To have utmost luxury and efficiency throughout your flight, it’s advisable for you to inquire about the plane’s interior details. This way, you can plan out your upcoming activities in the next several hours of your trip. Not every Lockheed Tristar operator has the same lay out in their cabins, hence it’s best to call your provider to know more about the facilities of your jet. From boardrooms to bedrooms, there are lots of options you can explore when it comes to chartering for a private flight on the Lockheed Tristar. Imagine replacing rows and aisles of over 200 seats, and what you’ll have is a relaxing hub in the sky. By having a set of flight crew members along with stewardesses, you can gear up for an international trip, and even get some work done. Afterwards, you can lounge by the plane’s bar or any other unwinding area. With the Lockheed Tristar’s spaciousness in its cabin allows built in compartments or even rooms for cargo. This is why you may even arrange for your baggage to be brought with you aboard, for your convenience. The Lockheed Tristar is also one fast flying plane, since it can fly with a speed more than the average large sized jet. Its speed ranges from 598 to 604 miles per hour. Perhaps you’d like to reach a much farther destination, at a much faster speed. Then it would be necessary for you to confirm your flight’s number of passengers and the weight of your cargo. This way, your pilot can effectively plan out your flight schedule, route and the rate of speed by which you’ll get to your location. Manufactured by Lockheed Corporation, the Lockheed Tristar series was first introduced during the early 70s. 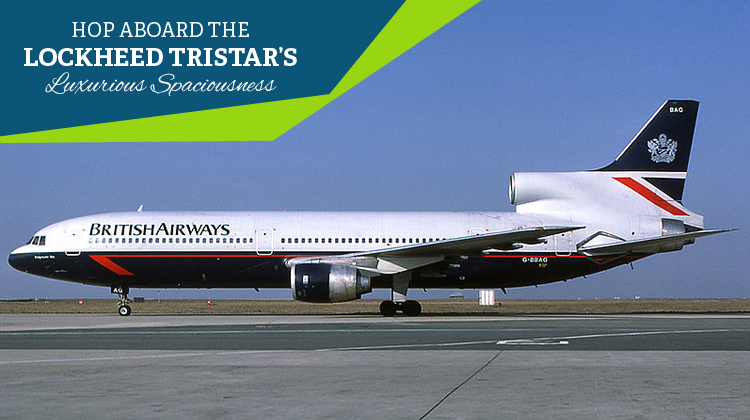 While it initially had financial and development challenges, the Tristar’s eventual launch and further improvements eventually pushed through. It has a total of 250 units and is flown by Barq Aviation and Orbital ATK. 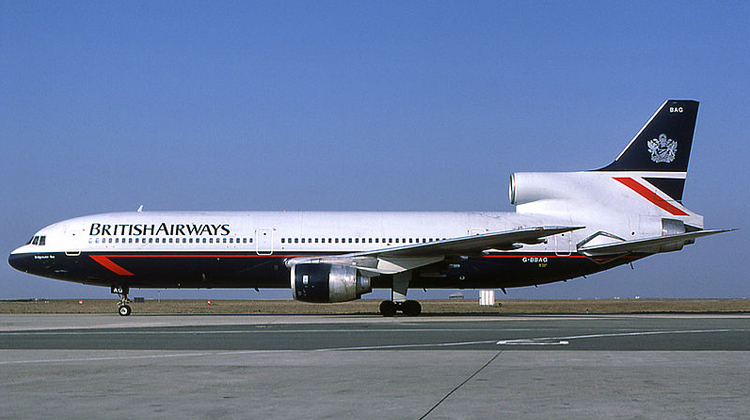 While it was previously flown by Delta Airways and British Airways, the Lockheed Tristar also became useful to the Royal Air Force. Its version was also developed to be a flying hospital by a non-profit organization. Its variants include the L-1011-1, L-1011-200 and L-1011-500.